*Click on titles or images to view a slideshow of the event. In the exhibition Transfer-mation, curator and Moving Crew member Jeremy Chen walked 12 miles of Division Avenue with Joe Arens and Karis Medina, taking a snapshot of the horizon every 20 steps. He then created a slideshow video from the 899 photos. Chen sent Moving Crew members the DVD and/or youtube video link. Members from as near as Grand Rapids and as far as Croatia responded with artwork or raw materials that were then transformed into the installation. Members gathered over two weekends to collaborate on the exhibition’s form and content. View ten minutes of “Walking Division” here. Territory has opened in the bemisUNDERGROUND. Millions of idle inches, finely timbered and watered, the most fertile in the continent, and if reports are true, cardboard resources in lavish abundance, all awaiting the subduing hand of civilization. The Moving Crew has already begun development, establishing a town site, port, newspaper, general store, and saloon. 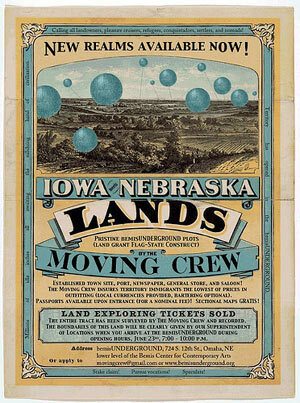 Now is the time to secure a home on the finest land ever offered by The Moving Crew. Considering the unprecedented rush already in this direction, you are advised to set out at once. The entire tract has been surveyed by The Moving Crew and recorded. The boundaries of this land will be clearly given by our Superintendent of Locations when you arrive at the bemisUNDERGROUND. The Moving Crew assures territory immigrants the lowest of prices in outfitting them (local currencies provided, bartering optional). Most trips abroad are trouble free, however you should take sensible precautions and ensure that you are adequately prepared. 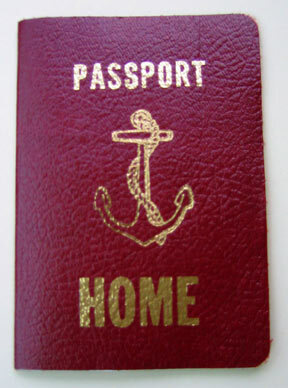 Passports available upon entrance (for a nominal fee)! Sectional maps GRATIS! This tide will continue until every vestige of the public domain is taken. Enter the elevator to the humid downtown basement office and apply for a Moving Crew passport that guarantees your rights and freedoms of unrestricted travel to new realms. The passport office may be hot and stuffy but kindly civil servants will keep the fans on high and direct you through the bureaucratic red tape. Please be patient as you wait. Your passport will be processed in a timely and efficient manner with your identity verified and your name and photograph instantly secured to your Moving Crew passport. 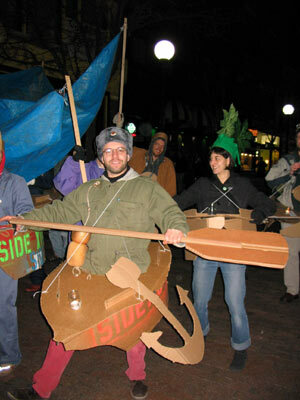 Join the captain at the dock and board his ship. He’ll make you row and sing and speak in seven languages but you’ll soon arrive. As you disembark, make sure you look through the periscope to see what lies ahead. And then be sure to prepare yourself for your journey with plenty of water, snacks and birdseed in the Swamp area. Just off the Swamp area you’ll find a passage to The Museum of Lost Culture with exquisite dioramas looking back to the glorious pasts of lost civilizations. Now you’re ready to re-enter the elevator going up and out. Don’t forget your free map to this new zone. It will guide you to many wondrous sites. At borders, please have your passport and documents ready for inspection. You’ll notice the varied stamps each territory uses. Many border patrol are friendly. Keep an eye out for mandatory checkpoints. Join the Moving Crew as we Launch the Fleet. What size boat do you wear? Come on down and try one on. Light your candle as the foghorn blows and paddle your way down the city streets side by side. We’ll cross the river like professional gondoliers and dock at the International Center where you can experience the Intermedia Open House. View a pre-voyage video to acquaint you with your boat's safety features and rowing instructions here. 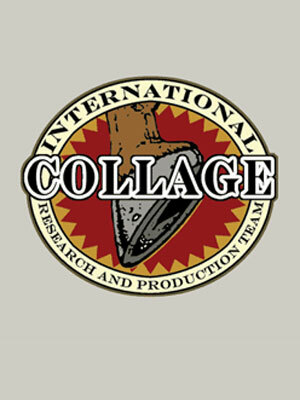 The International Collage Research and Production Team began as a small group of individuals originally based in Basel, Switzerland and Johnson City, Tennessee. The team has since expanded and is now scattered across the globe with worldwide membership. Members are devoted to inquiry into collage as art form, cultural phenomenon, and modern lifestyle. Their cross-disciplinary mission is to produce collage objects, images, activities and situations while studying the cultural impact of these forms in society. Each artist-researcher draws upon specific skills that help the team conduct its research. Several members attended the University of Iowa’s Collage as Cultural Practice conference in Iowa City, IA USA March 2005. This was the team’s first trip to the United States as a group since 1999. Concurrent with this conference, Arts Iowa City invited the International Collage Research and Production Team to conduct a month-long residency in the gallery. The team used the space as a temporary laboratory to perform their research and production and to bring cutting edge collage innovations to the public. 1966 - Jean-Philippe Beinert is born in Le Mans, France (son of a cobbler). 1997 - I.C.R.A.P.T. founded in Basel, Switzerland. 3 months later Johnson City, TN branch grand opening offers collage salad carry-out. 1998 - Glue shortages reported. Prices spike. I.C.R.A.P.T. investments skyrocket. 1999 - Team travels to U.S. as a group. Collaborations with American team members. 2000 - Research and production laboratory moved from Basel to Strasbourg. 2002 - Team is restructured. Regional chapters created. 2003 - Henry Ziegler travels to Mexico from Tennessee to begin collaborations with The International Museum of Collage, Assemblage and Construction. 2004 ­ Lydia Damenkonfection finishes Ph. D in Collage with her research on gravity collages. Excerpts first published in the journals Collagen and Platypus. 2005 - AIC residency and exhibit. Mobile research lab created. 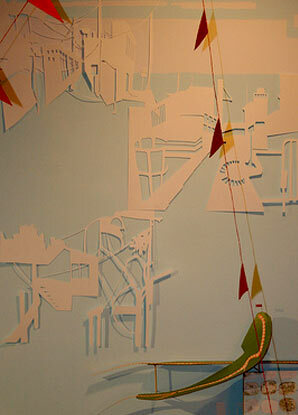 2005 - Emerging Collagist Grants awarded to Hansen, Heinen and Hobson. 2006 - Glue prices at all time lows. Collage funding dwindles.